2014 will be the year the Marvel Knights storm 'The House of Ideas'. 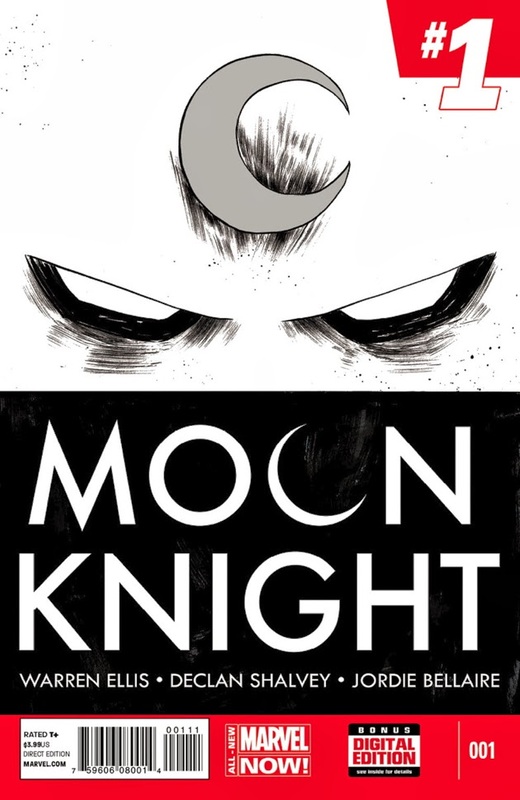 Elektra, Black Widow, Punisher and Daredevil are all getting a new series and next March, Hero Complex states Moon Knight will to, with art by Declan Shalvey and Jordie Bellaire, and written by Warren Ellis. With his Punisher relaunch a landmark run for the character, and Extremis taken from his rebirth of Iron Man into the Marvel Studios movie-verse, if anyone is going to take this long serving Marvel back-bencher and shift him up a few grades, it's Ellis. 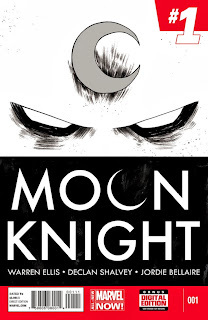 Warren's Moon Knight plots will return the reincarnated vigilante to the Big Apple, and "weird crime fiction" - inspired by the experimental pages of the first ever Moon Knight series by writer Doug Moench and artist Bill Sienkiewicz. One of the only two comics the writer read in the early 80's, Ellis plans to continue it's flavour by telling tales around, but not necessarily about the character, using a Marc Spector more in control of his mental health more as a cipher than a focus. 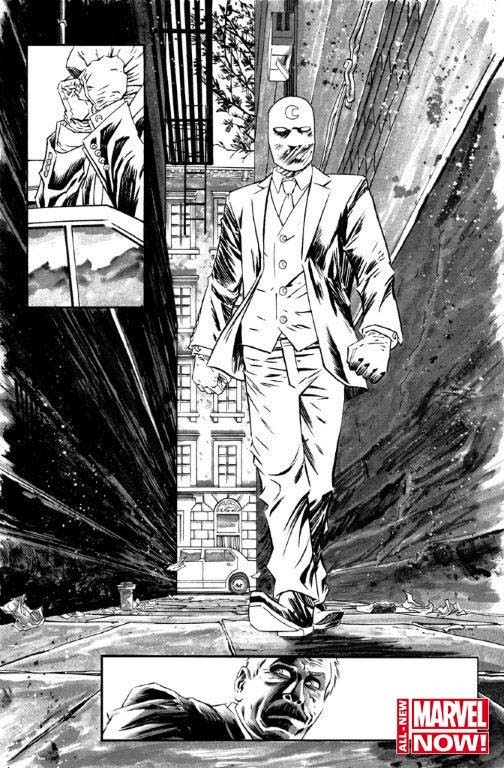 While personally I'm sure Jordie will do a sensational job on the colours, I feel there is a strong play for some decent black and white comics from the mainstream publishers, and a character who dresses in reflective white, so villians can see him coming, is the perfect contrast to make such a book work. Just look at this preview art!